Steve leads the team that is responsible for pastoral care at Emmanuel. Some call him dedicated, some call him (slightly) mad: Steve has run 8 marathons, thrice cycled the 100km bike ride across the Sussex Downs, and is coming up to his 50th triathlon. Steve met wife Jane at Red Cross and they’ve been partners-in-crime ever since. 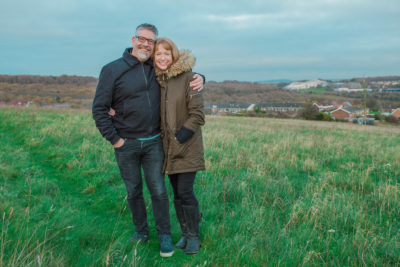 Unsurprisingly, they love getting out into the Downs though Jane has a not-so-secret weakness when they get back home– Monty Bojangles chocolate. Who can blame her?